My Year of Martha is NOT working! I have the best of intentions but always get sidetracked. With the school year winding down (my last day is June 15th! 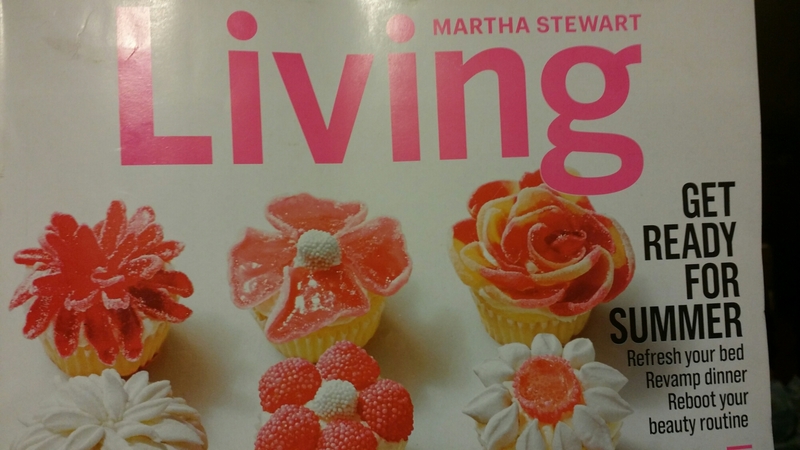 ), I figured I need to buckle down and get serious about this so I ordered a subscription to Martha Stewart Living. It came today! YAY! The first thing I noticed is that Martha has a calendar for her entire month with one or two things on it and sometimes exercise. Just like the author of The Tao of Martha, I figure making a calendar and somewhat loosely following Martha’s as an example is a good idea. Tomorrow Martha is attending a charity garden event. There’s nothing like that going on here, but I do need to weedeat my front flowerbed. Sunday may be a little trickier: Martha is going horseback riding and cleaning and oiling saddles. I wonder if Bessie will let me ride her?